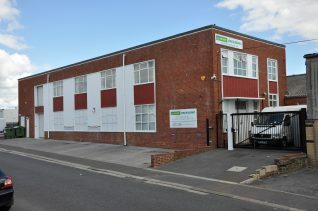 MB Metals Ltd was probably one of Portslade’s largest employers during the 1950/60/70s. I would estimate that between 250 to 400 employees spread around three main factories and offices at their peak. The company began trading before WWII and from 1939 to 1945 was engaged in the manufacture of items for the war effort. I do not know where the company traded initially but by the 1950s its activities were all undertaken at the Vale Works, Vale Road, Portslade. 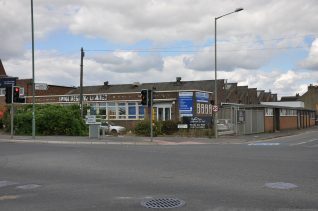 As the company grew, however, the need for more floor space saw it take on the now demolished Fryco Building along Victoria Road for its new head office; Chandlers BMW showrooms is now on that site. 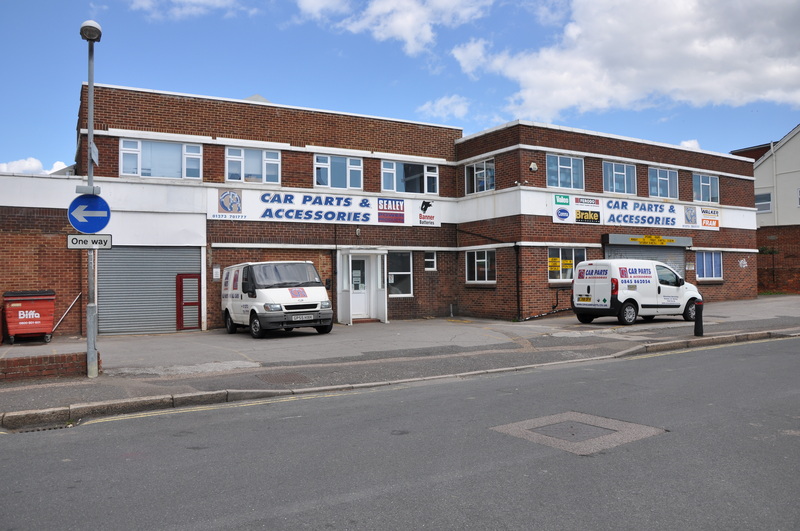 Vale Works, now the Car Parts & Accessories Depot, then became one of the company’s two factory sites, the other being in Wellington Road, on the corner with Church Road, which is now the offices and workshops of Iron Designs Ltd. There were also some assembly shops in a small group of buildings behind the houses on the western side of Norway Street and for a while, a building in Mill Road Fishersgate, was taken on with a view to mass production of flexible printed circuits. A very significant part of MB Metals’ turnover came from the Ministry of Defence, as the company manufactured a range of items including aircraft weapons delivery systems, i.e. bomb racks and rocket launching pods, some under license from America. However, the company also developed and produced some of the UK’s earliest electronic data logging equipment and was at one time at the worldwide forefront of flexible printed circuit design and manufacture. Sadly they were not able to dominate this latter market in the way they would have liked and the company was forced to concede it completely to the far-east, as was often the case in many other areas of technology at that time. The company also manufactured a range of smaller products for the domestic market, such as the Steward Call Switch, the overhead push/pull buttons on airliners. By 1964/5 they were just completing a large order for a range of machined stainless steel parts that went to form some of the internals of nuclear reactors for the power stations being built at the time. I also remember the company developing an illuminated, hand held ‘Children Crossing’ sign for lollipop ladies, at the time of the 1968-71 experiment with keeping British Summer Time all year round. Unfortunately the handle was completely full with batteries; it also had a double sided screen with internal strip light illumination. This meant that the whole assembly was so heavy that only ladies of a shot-putter’s stature would have been able to hold it for long. When the BST experiment was terminated in 1972, that particular little project was finally put out of its misery, too. I would very much appreciate hearing from anyone else with memories of MB Metals, especially if they are able to add some names or reminiscences from that era. I took the photos of the factory locations recently, as unfortunately I am not aware of any from the period 1964 to 1970 when I worked there. It would be nice to see some if anyone has any, or knows of a website containing them. Alan, my father Brian Lucas worked at MB Metals from around 1964 to 1967 when he was made redundant. Do you have an email address? Paul Lucas. Hi Alan, I remember you well from my time at MB. I was a screen-printer working on flexi circuits etc. Some names I can remember; John Steele, Ron Nobbs, ? Dix, Derek Kimber, Joyce Wooley, Terry Dekes and more. Nice to look back sometimes. Regards Dave Barcock. Alan – Please send me your direct email address regarding additional information about MB Metals, Ltd.
Jackie Collins Buck, Apologies it took me so long to spot your message. My e-mail address is …alme.phillips@gmail.com… (please make sure you leave out the three full stops at the begining and end - I only include them to fool automated web trawlers). I worked for MB Metals and then MBM Technology in Victoria Road from 1979 until 1992. I was Technical Supervisor in the HDERU Dept. Now working for Roscomac in Worthing. I joined MB in 1961 working as an R&D trainee at Mill Road with Tony Baggerly, who was a great character and slightly accident prone, filing cabinets falling over onto him and getting covered in green gunk when the cooling circuit of the induction brazing machine burst. We eventually moved to the lighthouse in Vale Road where we did a lot of the quality control metallurgy for thermocouples for nuclear power stations. MB took over a company making data loggers and when I saw an IBM typewriter printing away without human assistance I realised where the future was ie in computers. So in 1966 I joined EAL in Burgess Hill on the design team of a new Analogue computer. I worked in the computer industry until I retired in 2007. MB was a brilliant company and I would pay to do the work I did then, it was so much fun and there were a lot of great people, many of whom have been mentioned in previous posts. I was an MB Metals data Logger service engineer in the Early 70s. My back ground was as an instrument mechanic in British Steel and then South of Scotland Electricity Board Research Centre in East Kilbride (SSEB) where used data loggers extensively. Hence MB were keen to hire me. This gave me my first company car and in the early seventies at an age of 22/23 was something. I recall regularly flying Glasgow to Gatwick with clients. During this time I visited all sort of institutions all over Scotland and Northern England. Hi. After leaving Gross/Chubb cash 1979/80, I worked at MB Metals / MBM for 19 years. I started in the press shop with N. Colgate and Bill the press setter, who rode a bike. I was the inspector, but the press shop only lasted about one year or so and packed up and moved to Newhaven making sky dishes, I think? I moved to the M/c shop Inspection with Stan Elphic and stayed there till HDERU was set up in the old Press shop, being the Inspector there for all of its life. 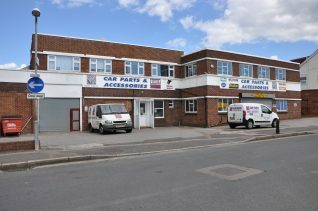 Its all gone now in Victoria Road and car sales have taken over. A message here for Michael Weller. I remember you well, Michael, from my time at MBM from the mid sixties to early seventies. We often shared a laugh and joke. I worked in the Environmental Test Department at Victoria Road, along with the likes of Peter Chapman, Brian Corner, Eric Chatfield, with John Thompson as our Technical Director. You worked upstairs, and us below stairs! I left the company in 1972. I remember the company photographer, Alex Greenwood, whose studio was near to you. Great memories of my time at MBM and if you can recall me it would be great to hear from you.